On Tuesday 9th February 1999, the recently-renovated and re-named Church of the Resurrection in Blarney opened its doors on the first morning of an adventure. This was to be an adventure filled with fun, food, friendship and families, toys, tea (and coffee! ), talk and trust, songs, stories, support and sharing, crafts, creativity, kindness and chaos (organized! ), play, painting, people and prayer. Next month, we celebrate 20 years of this adventure at Blarney Toddler Group. The group began as an off-shoot of Carrigrohane Parent and Toddler group (now known as Sparks). We had a small team and only a handful of parents and children, but we knew that starting the group was something that God had asked us to do and we have always seen it as His group, through which He wants us to share His love and serve the community in Blarney and surrounding areas. Two members of the original team, Alice Good and Ruth Hockey are still team members. Many others have given years of faithful service and we are thankful that we have always had new people to join the team as others move on. In an attempt to gather past team members for a re-union lunch, we came up with over 40 names and we thank each one of them for their unique contribution to the group. One of the special things about our team is the unity we enjoy as members of different church traditions. The team has always been drawn from both the Church of Ireland and Roman Catholic communities. We pray together for the group before and after Toddlers each Tuesday morning and we have a prayer requests and suggestions box on our resource tables. A typical Tuesday morning begins with handing out tokens (numbered poker chips!! ), as people arrive at the church gates from 9.40am. We can safely fit 70 people in the building for a Toddler group session and at times over the years, we have had to shut the gates when we hit this number (for everyone’s comfort and safety), but in recent times we are relieved that we haven’t had to turn anyone away! The doors open at 10 and we sign people in and give everyone, from grandparents to new-borns, a numbered name badge. This helps us all to get to know each other and also makes fire drills easier to manage! The morning is relaxed and fairly un-structured with free-play and chat, a craft activity each week and of course, tea, coffee and refreshments which are enjoyed by all. We tidy the toys away around 11.30 and gather in a circle for songs and rhymes and sometimes a story from the bible too. In recent years, the Sleepy Bunnies song has become such a firm favourite that if we don’t sing it, the children lie down on the floor and pretend to be asleep until we do so! After song and story time we gather up crafts and belongings and people make their way back down the hill by noon. Some return every week, some occasionally. We have a registration book, which may not even have been signed by everybody, and know that around 700 adults have passed through our doors, not to mention the all-important babies and toddlers who come with them! Those adults may be mums or dads, grannies or grandads, aunties or uncles, minders or au pairs, from Blarney, other parts of Cork, other parts of Ireland as well as overseas and it makes for a great mix of friendly and interesting people. Many people tell us that they have fond memories of their time at Toddlers. They speak of Toddler group being a lifeline during a busy, and sometimes stressful and isolating period of parenthood. Often we hear of friendships which have lasted over the years as children have grown up. 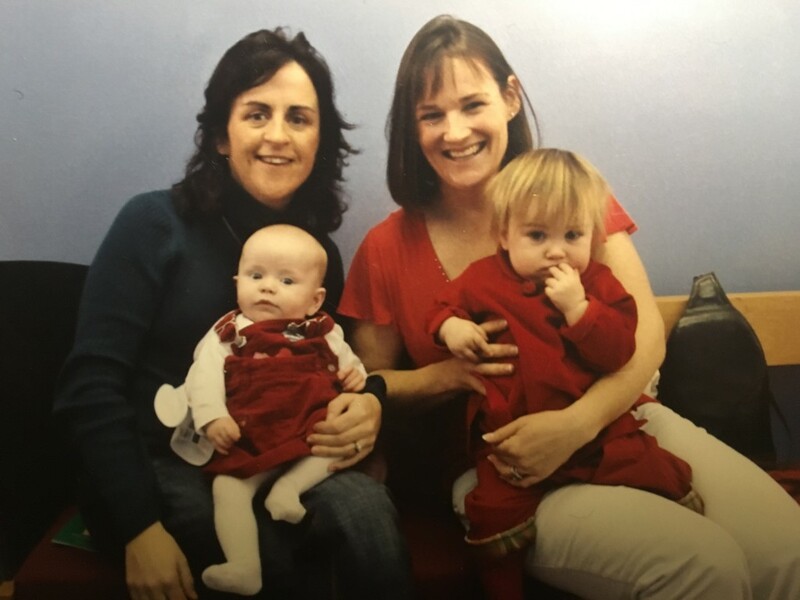 Some mums continue to meet regularly and even go on holidays together, au pairs have made connections with other au pairs and host families and sometimes whole families have built relationships that began over a cuppa in the Church of the Resurrection. We have shared sad times together too, especially with the loss of our much-loved long-term team member Judith Monk, and also of both a parent and a little one through illness, and we cherish special memories of them. Some of our members get involved in other activities linked to Toddler group. These include Family Fun Mornings run in Blarney Secondary school at half terms, and the Holiday Bible club for Primary school aged kids, which usually runs for a week in July. The Lighthouse, Messy Church, is held on the 3rd Sunday of most months in The Church of the Resurrection and it’s lovely to see past and present toddlers come along with their families. From time to time members attend Parenting Groups and Alpha courses (which look at the Christian faith in a relaxed discussion-based setting) and on two occasions, Toddler team members have had the joy of mentoring teenagers in a Youth Leadership Course, whom they had known as toddlers a (good!) few years previously. In the coming months we look forward to building further links between Toddler Group and the local community as the church building is used by the community nurse and by the YMCA, who are starting to run PAKT; an after-school programme for parents and children which includes a wide variety of activities. Next month, on Saturday 9th February, we celebrate our birthday! Team members plan to have a re-union lunch and then from 2.30 till 4.30pm, the Church of the Resurrection will be open to anyone who would like to come in for a cuppa and some birthday cake, to meet friends, look at photographs and share memories. There will be crafts and activities for those who would enjoy them and a book in which people might like to jot down a few words about what Toddler group has meant to them. Around 4pm we’ll have a short song, prayer and thank you time to wrap up the afternoon. We really hope you can join us and make the afternoon extra special.